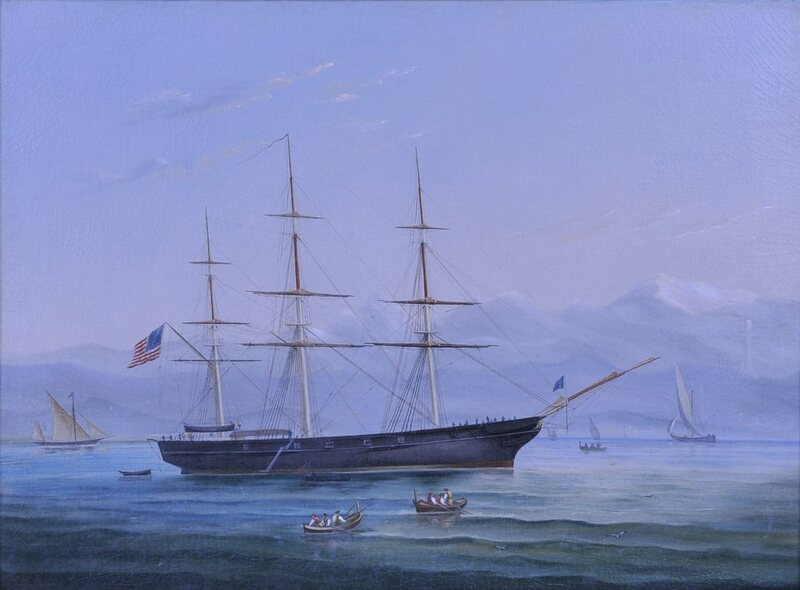 Recommissioned, 17 February 1849, sailing once more for the Mediterranean, 8 March, carrying the United States consul to Tripoli. 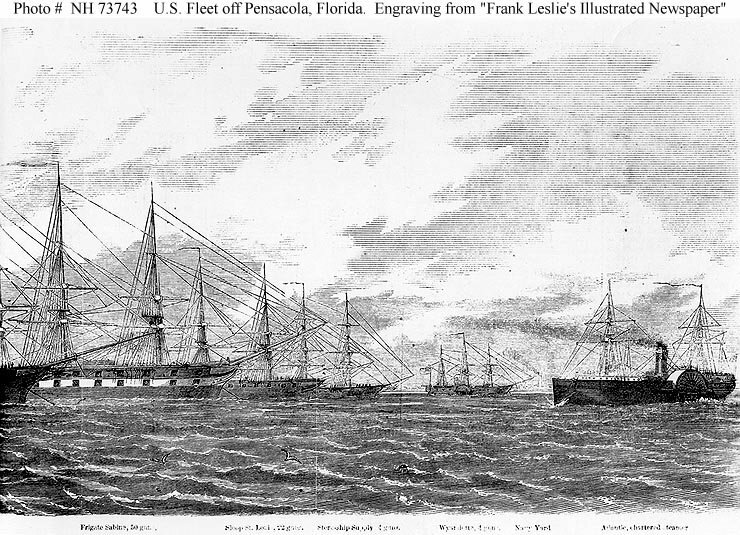 140k "The United States Fleet off Fort Pickens, Florida" A line engraving published in "Harper's Weekly", 1861, depicting U.S. Navy ships off Pensacola, Florida, in April 1861. 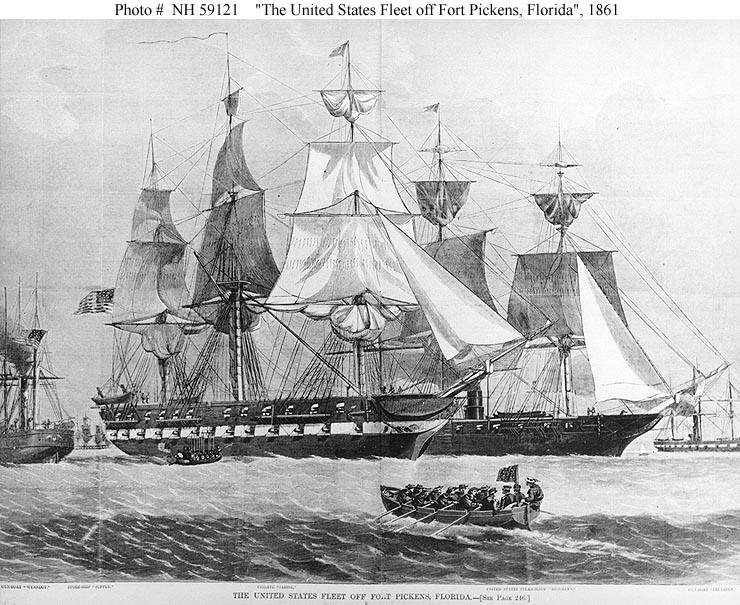 Federal troops were landed at Fort Pickens on 12 April. 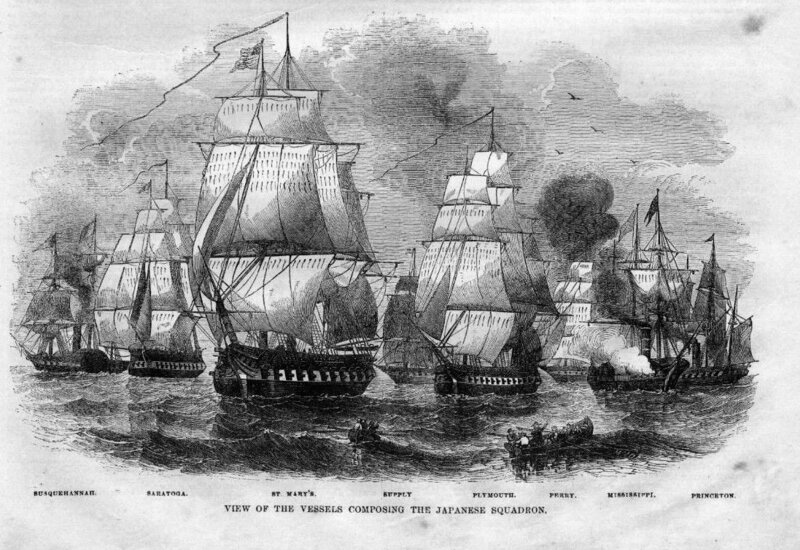 Ships identified in the title line are (left to right): USS Wyandotte (partially visible); USS Supply (in the distance); USS Sabine; USS Brooklyn and USS Crusader (partially visible). 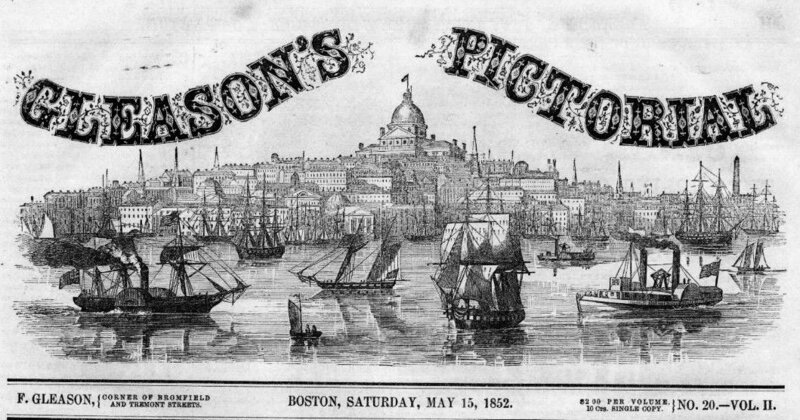 157k Right half of a line engraving published in "Frank Leslie's Illustrated Newspaper", 1861, depicting the scene off Pensacola in mid-April 1861. Features identified in text immediately below the image are (left to right): USS Sabine, USS St. Louis, USS Supply, USS Wyandotte (incorrectly depicted as a side-wheel steamer), Pensacola Navy Yard, and the chartered steamship SS Atlantic. 182k Paymaster Charles H. Eldridge entered the service as Assistant Paymaster, 10 July 1861 and was assigned to USS Supply from 1861 to 1862. 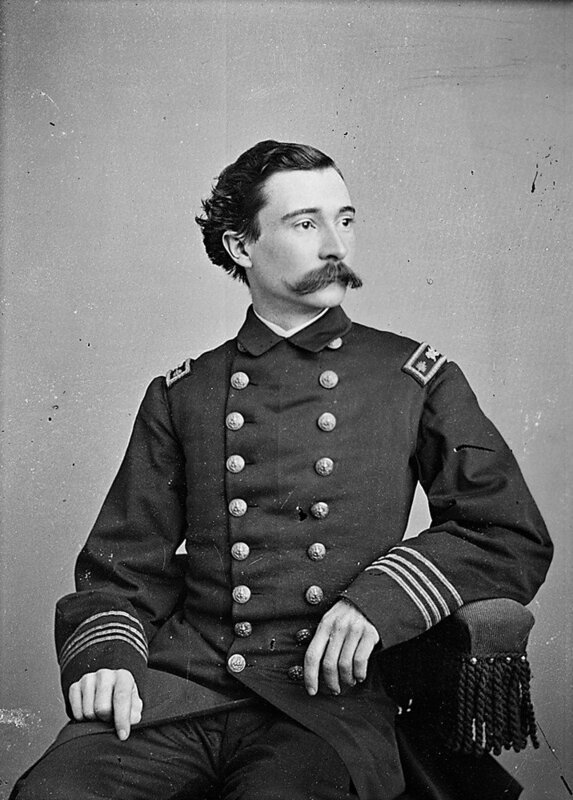 He was promoted to Paymaster, 6 February 1862. and was re-assigned to USS Canandaigua from 1862 to 1864. 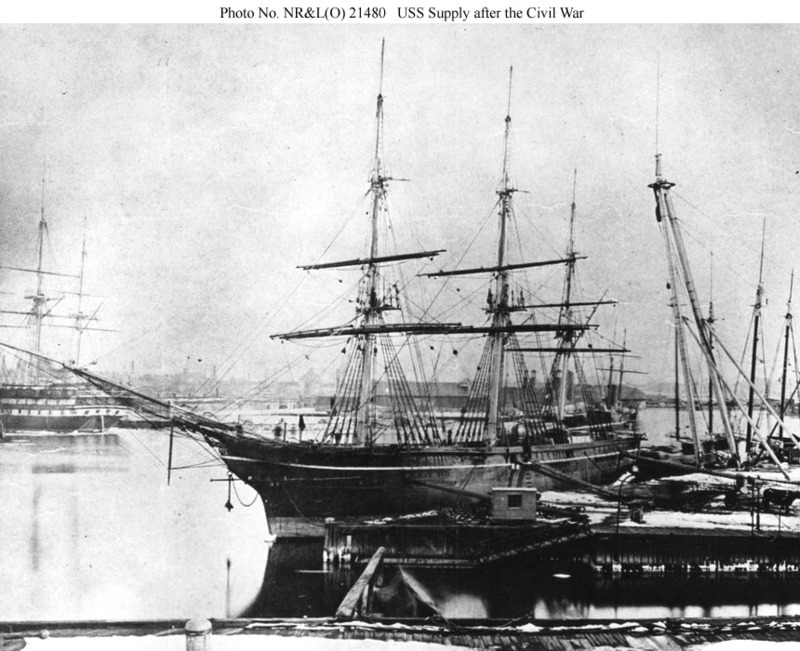 168k USS Supply probably at New York Navy Yard after the Civil War, with the receiving ship USS Vermont on the left and the smokestacks of a Wampanoag class steam cruiser behind Supply's mizzen mast.